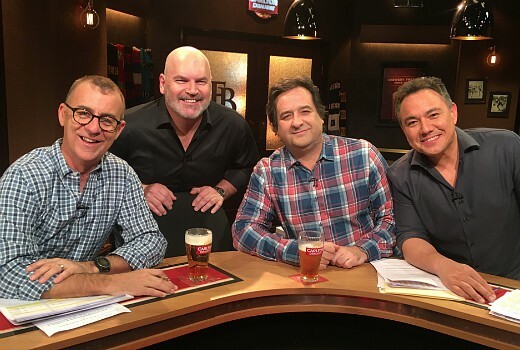 Problems continue for the AFL Footy Show last night beaten again by Seven’s Front Bar, nationally and in Melbourne. The Front Bar drew 392,000 nationally, buoyed by 281,000 in Melbourne. The Footy Show was just 137,000 in Melbourne, rising to 381,000 nationally -but that includes a late NRL edition. Elsewhere Nine’s NRL coverage was 460,000 in 2 cities. The Bachelor topped the demos and won its slot on 822,000 viewers, although direct comparisons are tricky given so much staggered viewing across the schedule. That was down on its Wednesday debut of 940,000. Filthy Rich & Homeless wrapped with 342,000 for SBS, with 287,000 staying for a Live forum with the participants. Living up to it’s name, ABC’s Everyone’s a Critic was last in its slot on just 215,000. Nine led in primary share but Seven network won with 28.3% then Nine 27.4%, TEN 20.2%, TEN 14.8% and SBS 9.3%. Seven News was #1 with 1.02m / 994,000 then Home and Away (645,000), The Chase (575,000 / 375,000), The Front Bar (392,000) and Border Security (300,000 in 2 cities). Beach Cops was 255,000 in 3 cities. Nine News (886,000 / 878,000) led for Nine followed by A Current Affair (732,000), Hot Seat (484,000 / 290,000), Thursday Night NRL (460,000 in 2 cities), The Footy Show (381,000) and Driving Test (228,000 in 3 cities). RBT was 212,000 in 3 cities. The Bachelor (822,000) was best for TEN then The Project (480,000 / 258,000), TEN Eyewitness News (354,000), Law and Order: SVU (308,000), Pointless (216,000). Blue Bloods drew 177,000. ABC News (726,000), 7:30 (477,000), Grand Designs Australia (444,000), Sammy J (337,000), Everyone’s a Critic (215,000), Think Tank (210,000) and Diana: 7 Days that Shook the World (178,000) comprised ABC’s night. On SBS it was Filthy Rich & Homeless (342,000), Tony Robinson: Britain’s Ancient Tracks (318,000), Filthy Rich & Homeless Live (287,000), SBS World News (119,000). The Chef’s Line managed just 45,000. 9GO!’s Big Bang topped multichannels at 196,000. OzTAM Overnights: Thursday 16 August 2018. Filthy Rich and Homeless has really put some things into perspective for me, there are always people doing it tougher than I am, and to be happy with what I have, because so many people have nothing. My heart breaks. Maybe The Footy Show should bring back Trevor Marmalade and his Bar. Had a look at the Footy Show last night for about 10mins, and they had a Michael Jackson tribute guy on, what on earth has that got to do with footy!! I think 7 should do a Front Bar for the cricket. Prob be a VB sponsor though as they seem to dominate the cricket sponsorship advertising market. Since owner by CUB won’t upset Carlton Draught. I’d go with a new line up to insure no viewer fatigue – maybe with the exception of keeping Andy has his an all type sports guy and good anchor. CUB pulled sponsorship out of all forms of Cricket in March last year, XXXX Gold (Castlemaine Perkins) are now the sponsors … sorry … official beer partners of it. So in a similar position with Cricket as they are with NRL having Tooheys as a major sponsor and not able to go with any CUB products. Yep and they talked about it on The Front Bar with Jason Dunstall last night, it ran from 1998-1999 and was replaced with The Game from 2000-2001 with Dermott Brereton, both axed because of lack of ratings (of course 2002 was when 7 lost the rights to the football as well). I think Seven News should read 1.02m perhaps? Did Sunrise thrash Today again?